Monaco is a Bond location itself, with the Monte Carlo Casino and Fort Antoine theatre featuring prominently in GoldenEye and Roger Moore being a long-time resident of the mini-state. 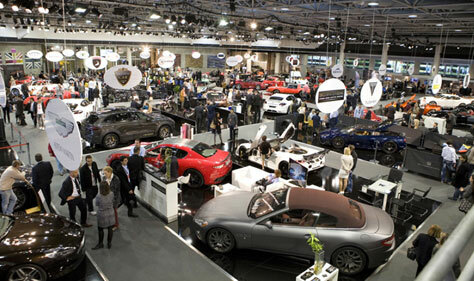 Top Marques will have more than 160 exhibitors all releated to luxury. There will be 6 supercars World Premieres with Vencer, Mazzanti, Mansory, Delavilla, Savage Rivale, ISIS – available for test drives on the famous Monaco Grand Prix circuit. Clubcars Switzerland will be showing for the first time at Top Marques Monaco, its Techart Porsche Cayenne Magnum. Other custom manufacturers featuring their latest creations are MTM Klassen, Mansory, Hamman, ABT, MS Design and DMC Germany. More than 30.000 visitors are expected to visit the event, during four days of excessiveness and luxury.